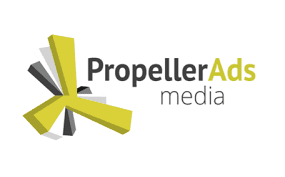 Founded in 2011, PropellerAds has grown into the #1 challenger to Google Adsense. The free, easy registration and set up makes this the best alternative to Adsense. Can be used as a stand-alone option, but is fully compatible with other networks. Payments via Paypal or wire transfer in the US; but provides the following option: Payoneer Prepaid, Mastercard ®, Payoneer Global Bank Transfer, ePayments, EPESE and Webmoney.